It’s hard to maintain a successful performance week in and week out, especially in tennis where game plans have to be completely readjusted depending on opponent. 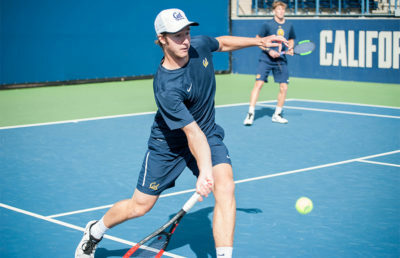 At the UCSB Classic, Cal men’s tennis was looking to repeat what they have done in Davis the week prior. However, instead of singles A and B titles, Bears return back home with only a doubles C consolation title, coming from the duo of sophomore Bjorn Hoffmann and freshman Jackson Suh. That’s not to say the Bears didn’t come close. 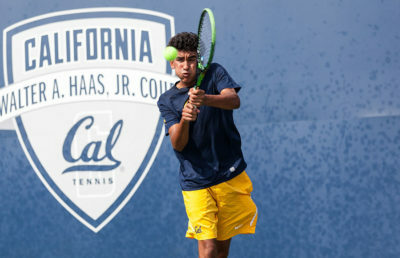 Cal competed in the semi-finals for singles A, B, C and doubles B. Hoffmann, sophomore Dominic Barretto and freshman Can Kaya were the representatives in singles, and the duo of Kaya and sophomore Gunther Marta made it the furthest in doubles. But all stalled just two wins away from titles. “I played different opponents obviously, so I had to change my game a little bit,” Hoffmann said. Seniors J.T. Nishimura and Billy Griffith also ended the All-Americans early in Tulsa even though they got important matches against the best players in the nation toward their preparation for spring. Of course, it’s preseason and the results are not everything, as will be the case in spring. With a young core, the Bears need to learn how to adjust against different opponents as the fall is usually comprised of unfamiliar foes. “We focus on learning to see opportunities and learning to read the game better,” said Cal head coach Peter Wright. Cal players made adjustments in the game, even though sometimes it did not resulted in a W at the end. 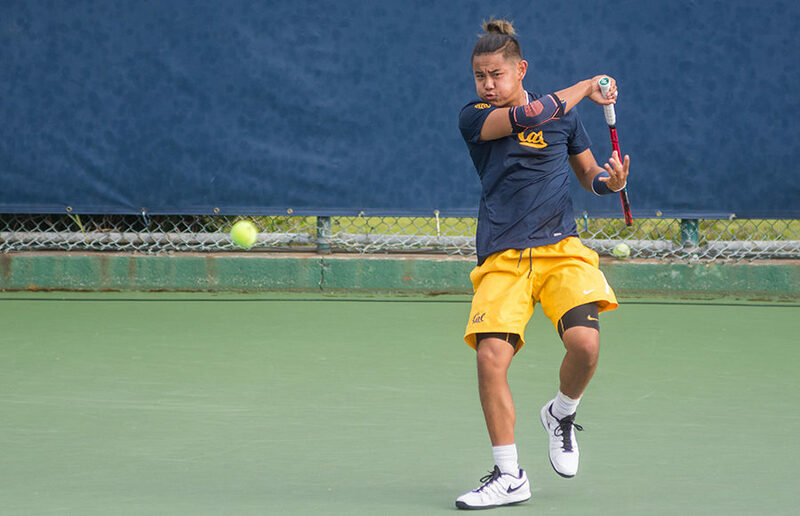 Matta forced a third set in his semi-final loss, 6-4, 6-7, 6-4 while Nishimura’s All-American qualifying round run was all about comebacks with the last one coming just short, 4-6, 6-4, 6-3; 4-6, 6-1, 6-1; 6-2, 4-6, 7-5. “I think, (coming back in games) is one of the key differences in how (Nishimura) progressed from being a freshman to a senior,” Wright said. With a young team, Cal coaching staff looks forward to see this kind of development in their young players. But with the preseason comes to an end this month, those jumps need to come sooner rather than later. After a decent run in NCAA tournament but having lost three key players, the Bears were all about development this fall counting on the energy and hard work young players bring to the table. “I’m even more mentally prepared to work harder and learn from mistakes and losses to prepare me even more for spring,” Hoffmann said. 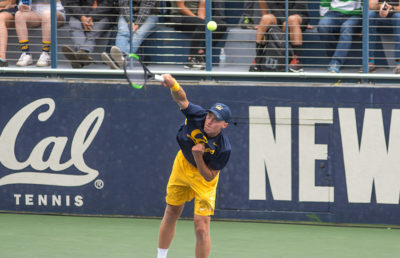 Next stop for Bears is Stockton, after a one-week break, for the Northwest Regionals, which is an important tournament to see how Cal stacks up against its local competitors. For the first time this fall, coaches will be able to see everyone perform as freshman Ben Draper is set to join his teammates in Stockton for the first time after his back injury kept him away from earlier competition. “We’re going to be able to compete with everyone,” Wright said.